Understanding the relationship between history and education in the lives of African people in the United States and beyond remains absolutely critical. Greetings good people! In response to questions about further reading, below is a partial reading list of texts that are either written or edited by Dr. John Henrik Clarke. 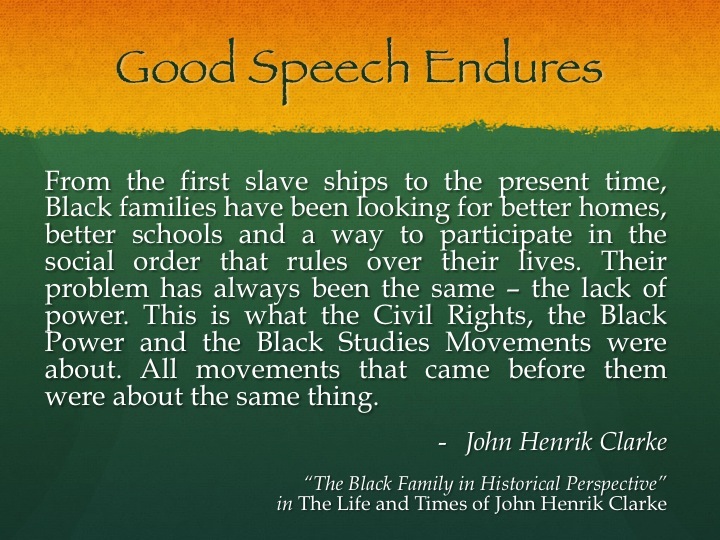 A longer bibliography is available via the John Henrik Clarke Africana Library at Cornell University. If some of you all have read one or more of these, I'd love to hear your reactions (send an email, or post a comment). 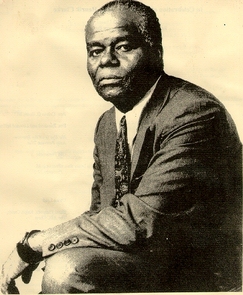 Rebellion and Rhyme: The Early Poetry of John Henrik Clarke. Trenton, Africa World Press, 1981. Malcolm X: The Man and His Times. Trenton, Africa World Press, 1990.
Who Betrayed the African World Revolution? And Other Speeches. Chicago, Third World Press, 1991. Notes for an African World Revolution: Africans at the Crossroads. Trenton: Africa World Press, 1991. Christopher Columbus and the Afrikan Holocaust. New York: A&B Book Publishers, 1993. African People in World History. Baltimore: Black Classic Press, 1993. Education for a New Reality in the African World. New York: Phelps-Stokes Fund, 1994. Critical Lessons In Slavery and the Slave Trade: Essential Studies and Commentaries on Slavery, in General, and the African Slave Trade, in Particular. Richmond: Native Sun Publishers, 1996.